Francesco , Greg and Steve B as co directors , Steve Zahler owner of Modern , are hosting this event . We will start at 7 but welcome to come in one hour before ! * We're staffed by true pinball wizards! Ask and learn! Our neighbors include Subway Food, Mad Hatter and many delis, pizzerias, bakeries, pubs and restaurants in the immediate area. Pre Papa Tournament is 4 strikes match play of groups of 4 players ( bottom 2 of each group after each game get a strike) and after 4 strikes you get eliminated . The tournament will take place on Sunday April 2nd and start at 7 pm . Groups and games are randomly picked , Swiss system will be used ( players with same number of strikes will play against each other ) . Modern Pinball will give prizes to top 4 . All machines , were possible will be in tournament mode . NO EXTRA BALLS , you must plunge and walk away ( good for skill shot of touching flippers buttons before the ball will go in play ) . Tilt trough or play out of order is a loss (or last place ) . 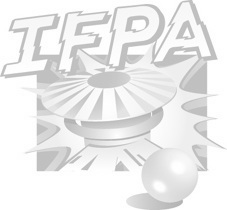 Ifpa rules will be apply !